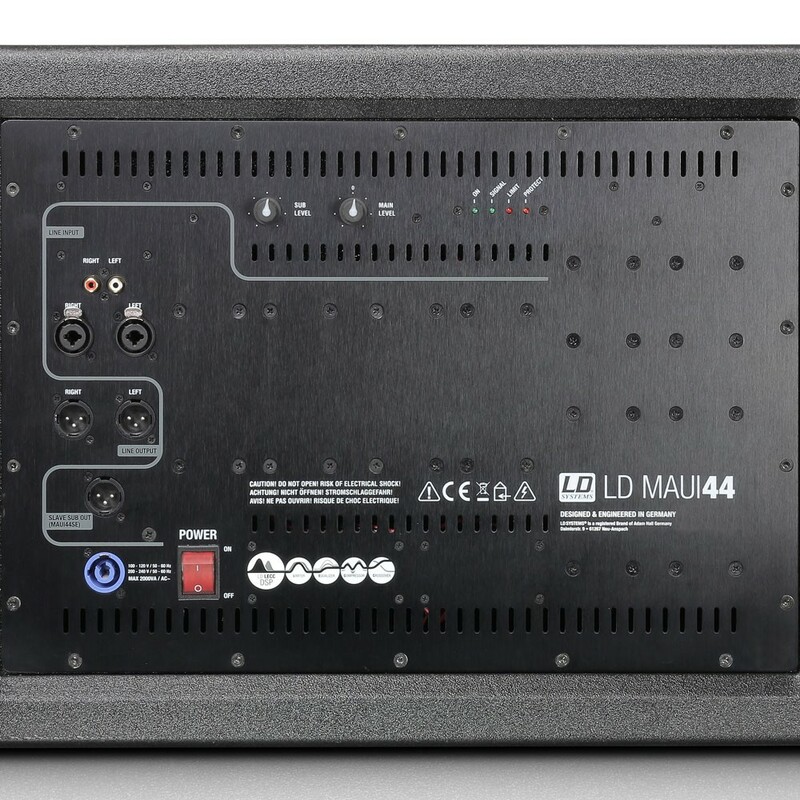 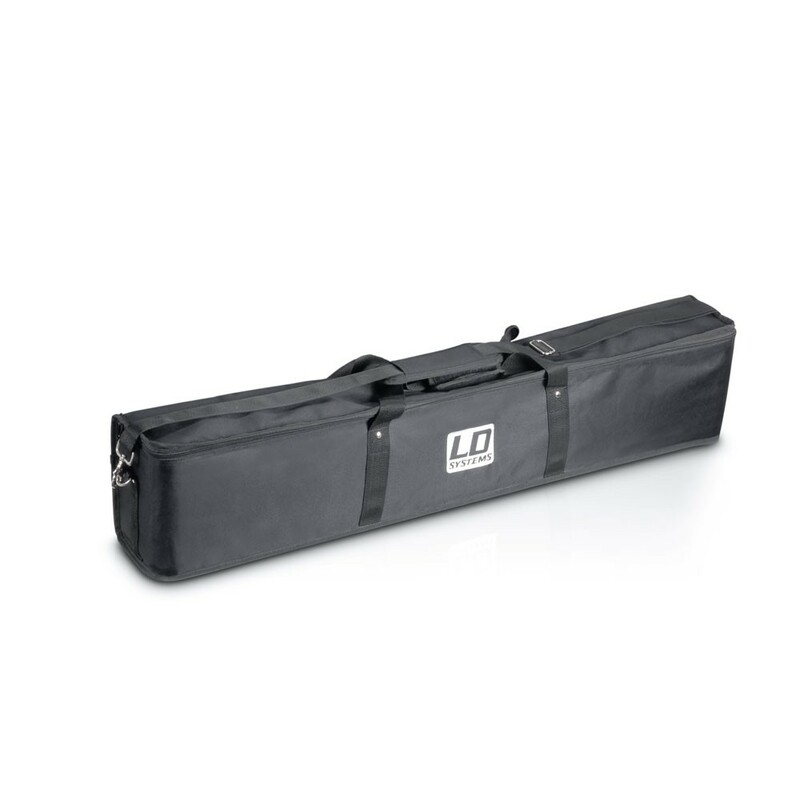 The MAUI 44 is the flagship of the LD Systems MAUI series and offers an enormous 1,600 watts of total output (RMS) with a frequency response of 40 Hz to 20 kHz and a sound-level pressure of 129 dB (peak). 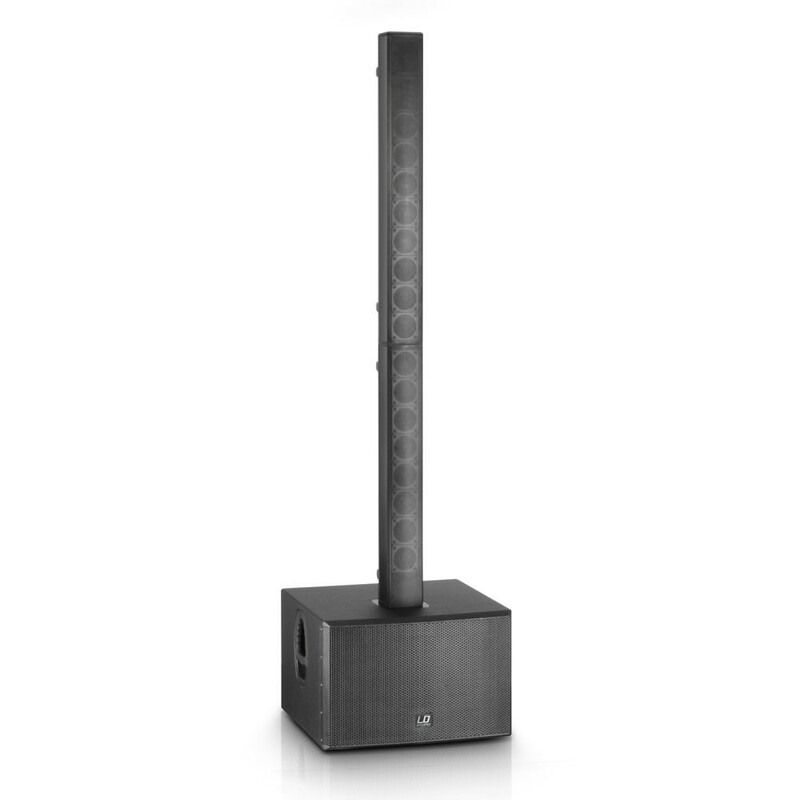 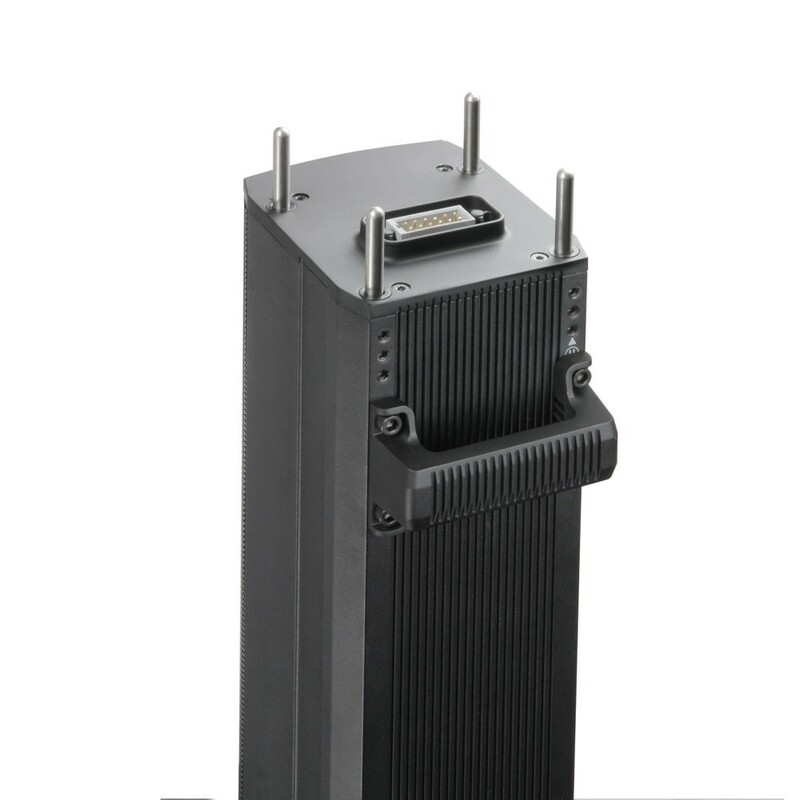 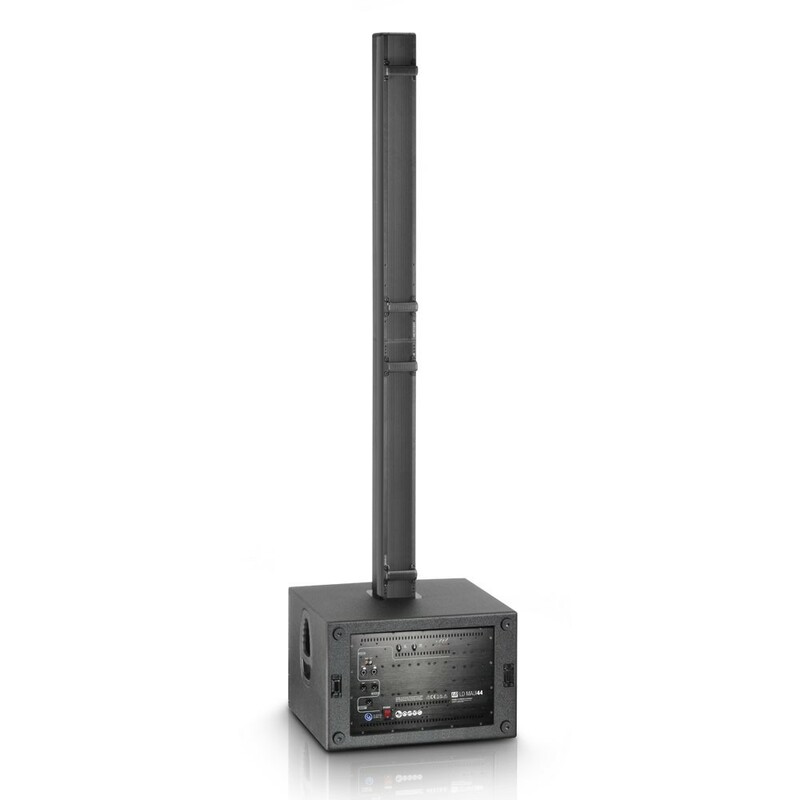 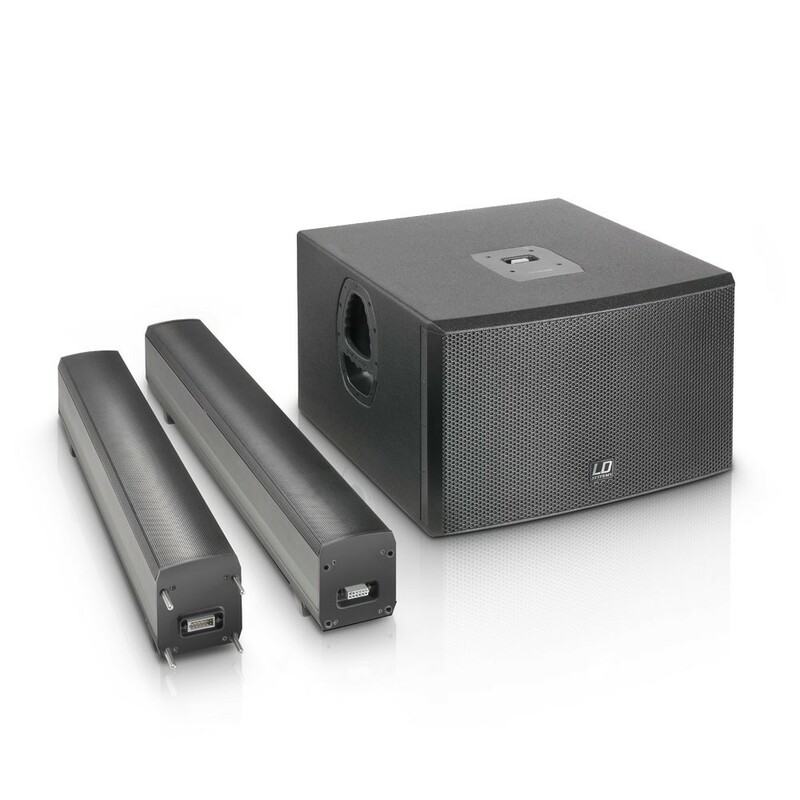 With its outstanding sound properties and wide-ranging functions, this compact column PA is perfect for musicians, DJs and solo entertainers as well as for permanent installations. 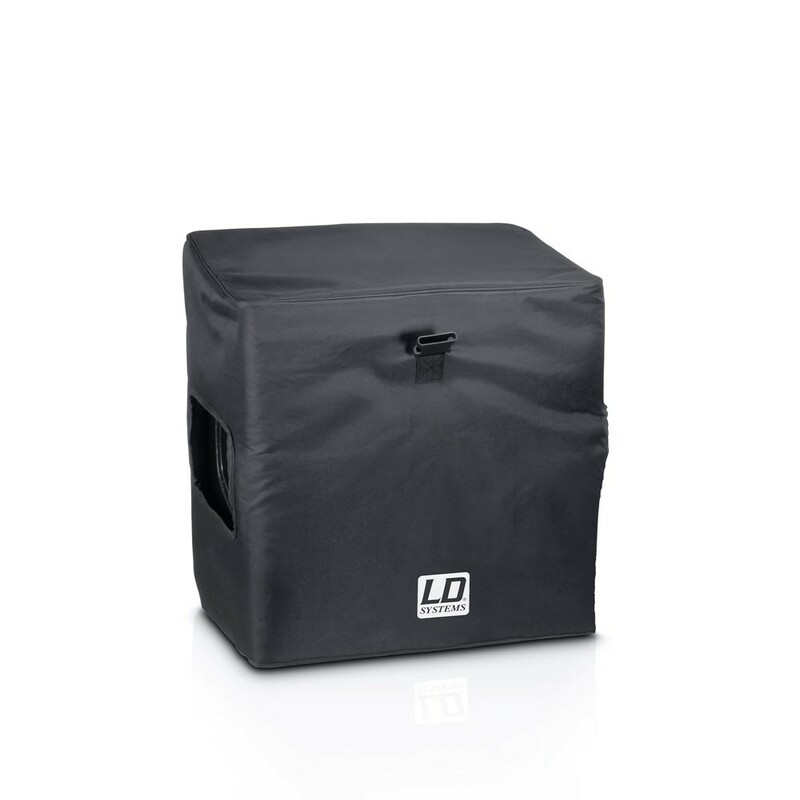 The housing of the bandpass subwoofer is made of rugged 15 mm birch plywood and fitted with two 2 x 12" neodymium woofers as well as two Hypex modules with separate switching power supplies. 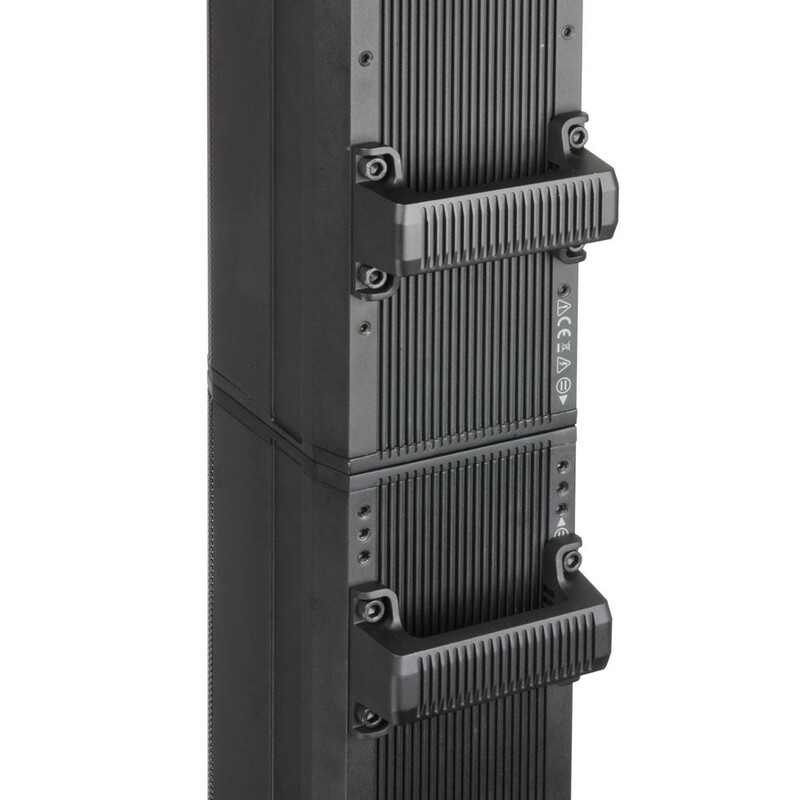 The four frequency groups of the vertical array system consist of a total of 16 3.5" neodymium speakers with die-cast basket and integrated heat sink along with two 1" Celestion HF drivers with wave guide. 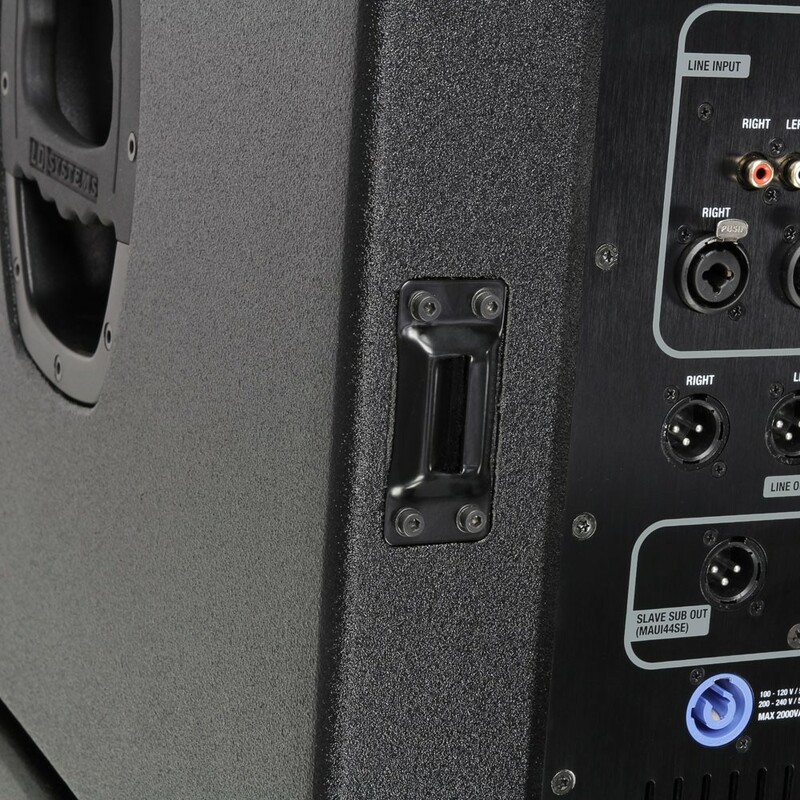 They are operated via 4 dedicated class-D power amps. 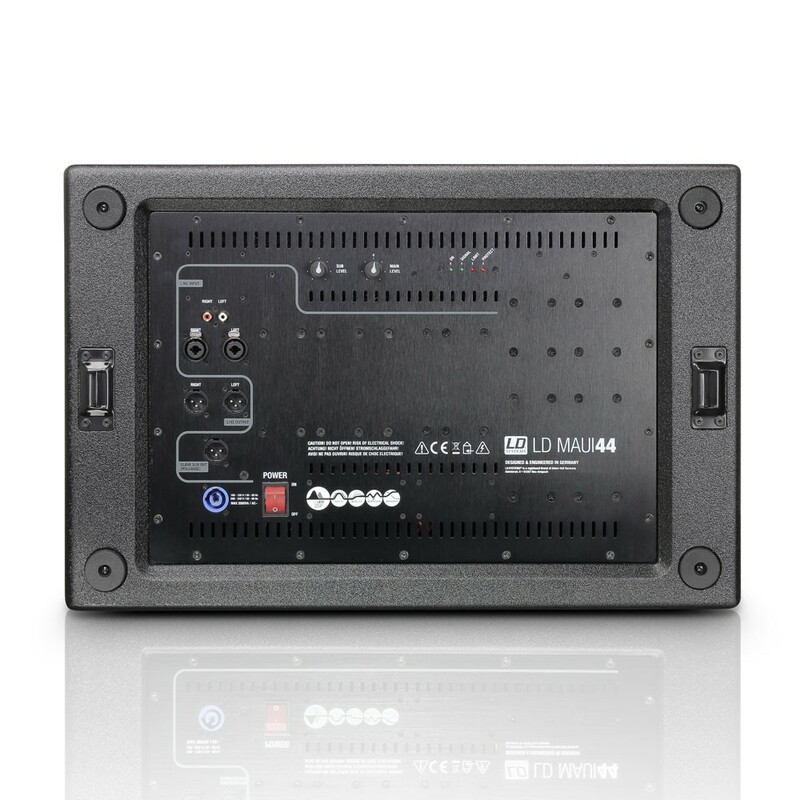 In terms of connections, the MAUI 44 offers both combo sockets (XLR/6.3 mm jack) and RCA inputs. 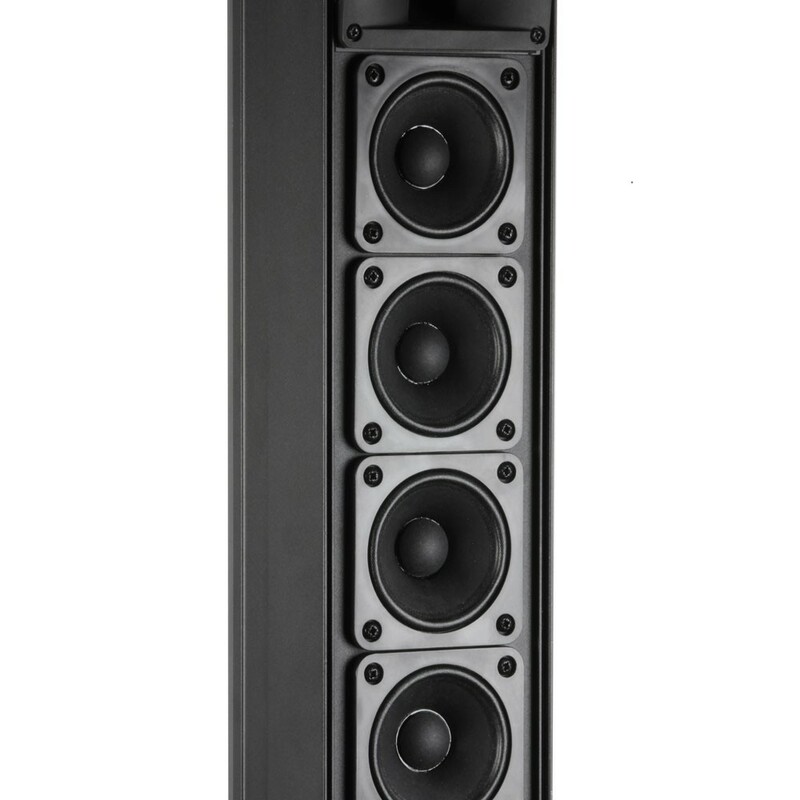 Total and subwoofer levels can be individually adjusted, providing a perfectly balanced sound in every situation with a crystal-clear treble, a crisp mid-range and a powerful bass. 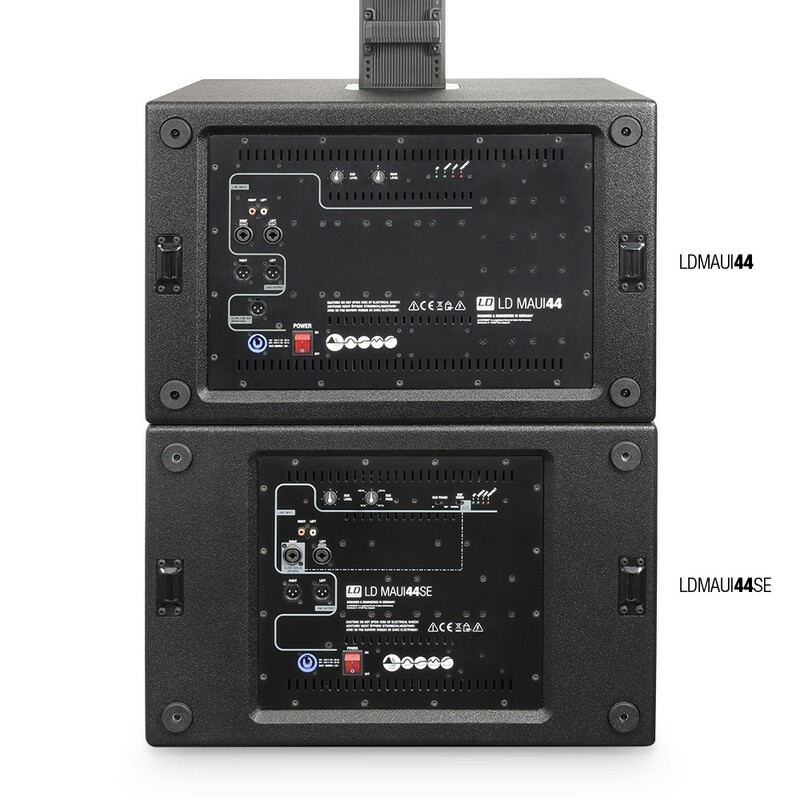 The LD Systems LECC DSP (limiter, equalizer, compressor and crossover) along with two additional limiters provide distortion-free audio reproduction with an extended dynamic range, guaranteeing safe, reliable operation with effective protection circuits to prevent short circuiting, overcurrent and overvoltage. 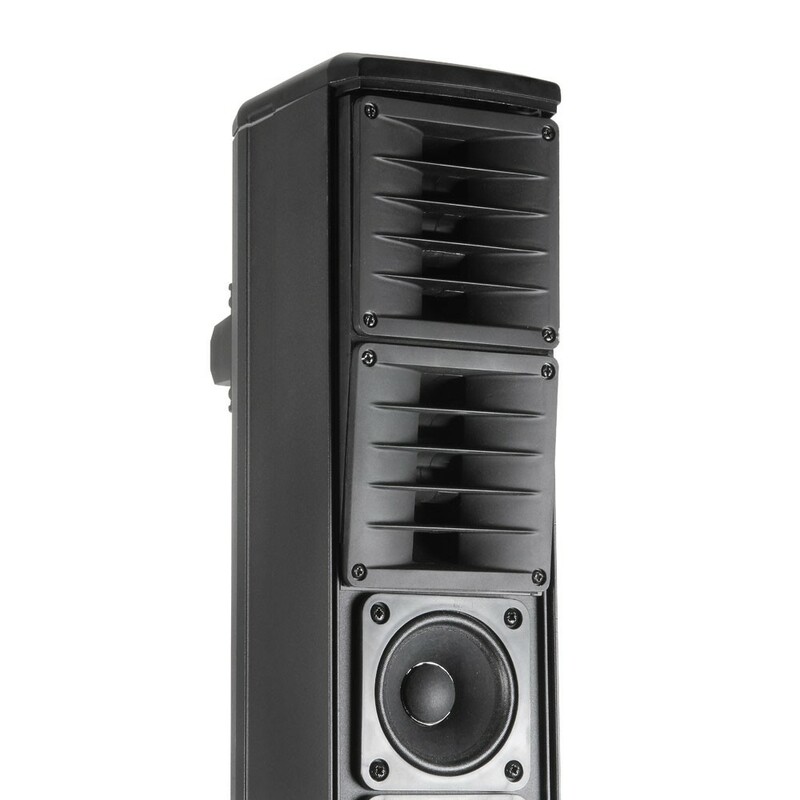 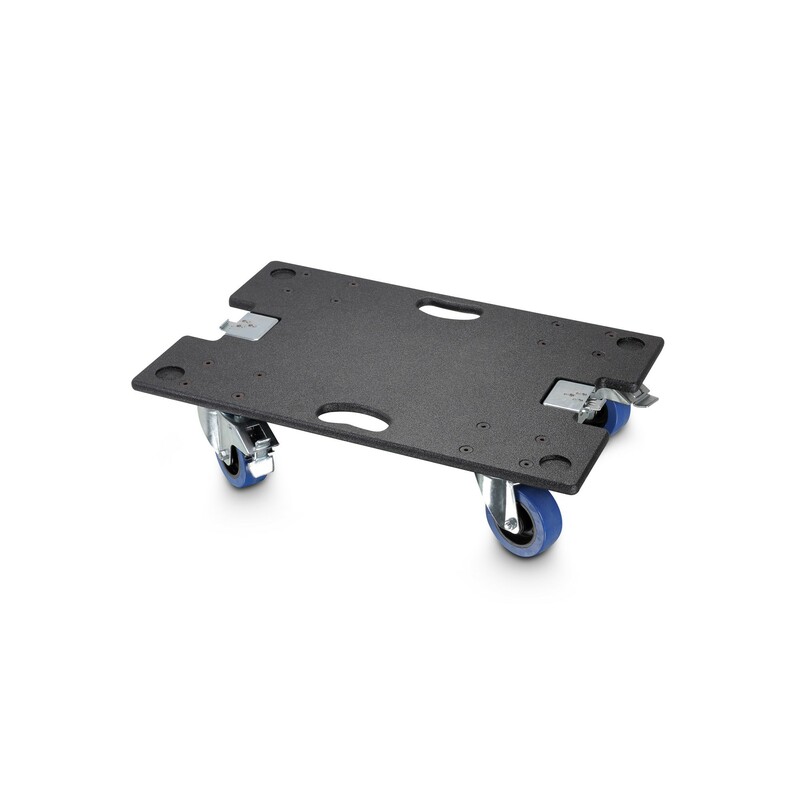 Designed for simple transportation, the MAUI 44 consists of a subwoofer and an aluminium array with a total weight of less than 60 kg. 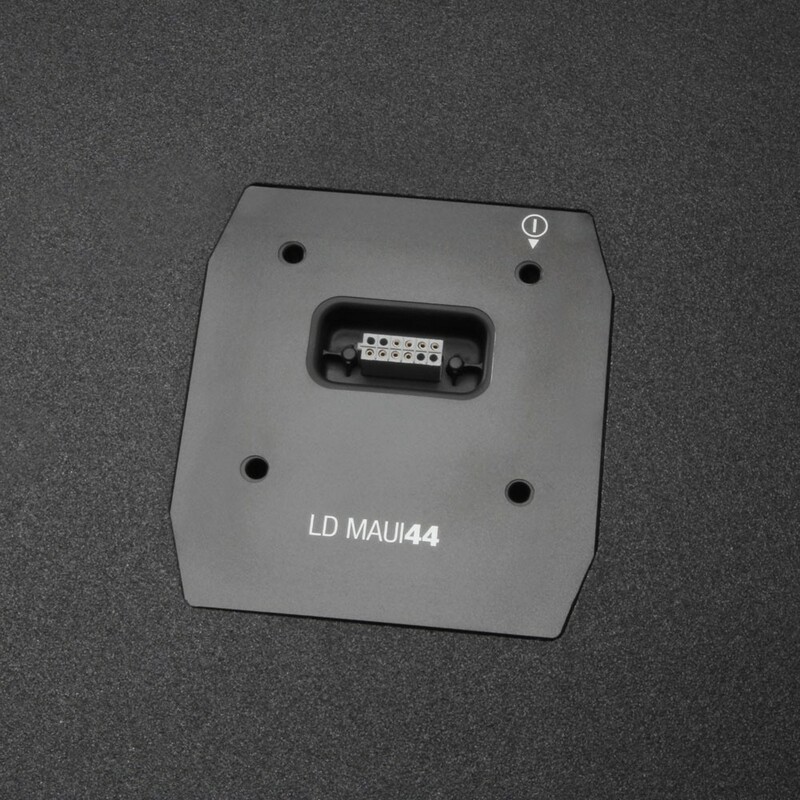 Special multi-pin inputs reduce set-up time to a minimum, and thanks to its exceptional feedback resistance and extremely wide horizontal coverage of 120°, the system does without additional monitors.